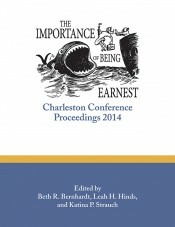 Over one hundred presentations from the thirty-fourth Charleston Library Conference (held November 5–8, 2014) are included in this annual proceedings volume. Major themes of the meeting included patron-driven acquisitions versus librarian-driven acquisitions; marketing library resources to faculty and students to increase use; measuring and demonstrating the library's role and impact in the retention of students and faculty; the desirability of textbook purchasing by the library; changes in workflows necessitated by the move to virtual collections; the importance of self-publishing and open access publishing as a collection strategy; the hybrid publisher and the hybrid author; the library’s role in the collection of data, datasets, and data curation; and data-driven decision making. While the Charleston meeting remains a core one for acquisitions, serials, and collection development librarians in dialog with publishers and vendors, the breadth of coverage of this volume reflects the fact that the Charleston Conference is now one of the major venues for leaders in the information community to shape strategy and prepare for the future. Over 1,600 delegates attended the 2014 meeting, ranging from the staff of small public library systems to CEOs of major corporations. This fully indexed, copyedited volume provides a rich source for the latest evidence-based research and lessons from practice in a range of information science fields. The contributors are leaders in the library, publishing, and vendor communities.